What comes to mind when you hear National Highway 44 (NH44) – variety – from one corner of the country to the other – from Kashmir to Kanyakumari – variety in culture, food and people. The same variety has been adapted as a theme of the restaurant NH44 in Rajouri Garden, the upcoming food destination in the capital. With variety in mind, the menu of NH44 has been designed to satisfy taste buds of every region – whether it is the goshtaba from north of the country or Chettinad Chicken from the south part. 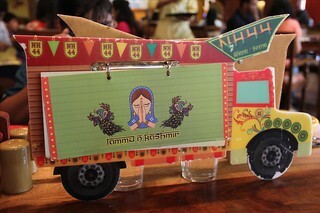 The menu itself is designed as a truck, enliving the soul of the stretch. The place is grand, reflecting the life style of the people in the area. 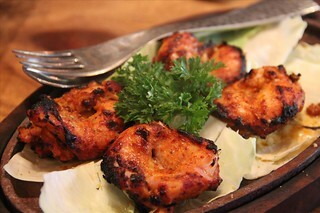 The dhaba theme of the restaurant in no way alters the grandness – be it the servers’ uniforms, the seating or the decor. 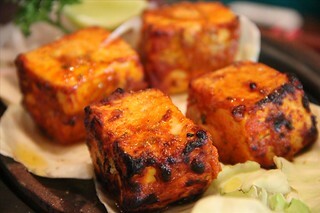 The grand menu showcasing recipes from Kashmir to KanyaKumari does full justice to every region and it’s cuisine. 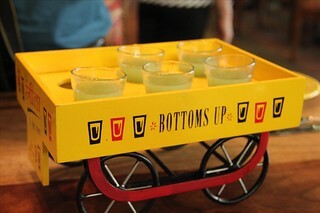 We started our journey with an aam panna shot, a welcome drink which was amazing. 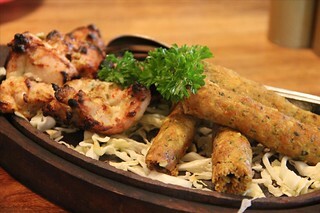 The first course of starters saw soya sheekh kebabs, paneer tikka, chicken tikka, chicken malai tikka and chicken seekh kebab come to our table – each dish was delectable and we had no complains. Kancheepuram idlis and Masala dosa with an assolutely lip smacking sambhar & assortment of chutneys made way then – the sambhar is marvelous and hadn’t it been for the spread promised further, I would have devoured more portions of it. 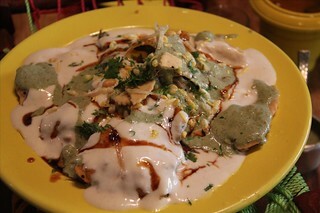 Palak Patta chat is among the best available in the city, which retained it’s crunch even after a a good 10 minutes. 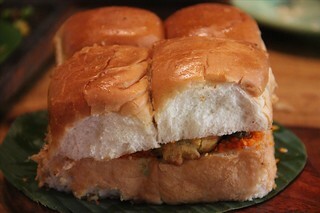 Vada Pav is very close to the ones available in Mumbai but somehow the pav didn’t have the perfect moisture. 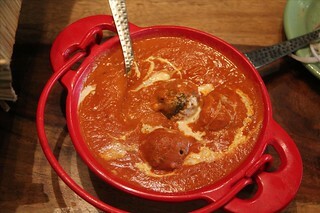 The main spread consisted of Lasooni Palak ke kofte – a must try here – with melt in the muth balls of spinach with a hint of garlic in a tomato gravy. 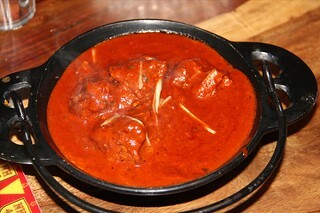 Lal Maas has that authentic smell and taste that makes you gorge on it, and we did – perfectly cooked pieces of lamb in that spicy and flavorful gravy – bliss. 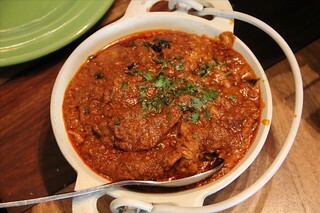 Chicken Chettinad here can beat most in the city, I just missed some appams to go on with it. Dal Makhani is something they can’t afford to get wrong, and they didn’t, it was very flavorful. 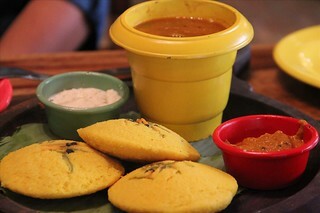 Desserts were surprising – beetroot ka halwa and gil-e-bahist were masterpieces by the chef. 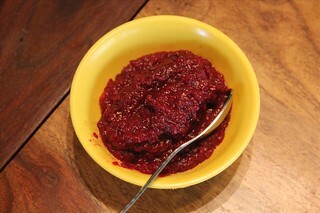 Skeptical about the beetroot at first, it was love at first bite! 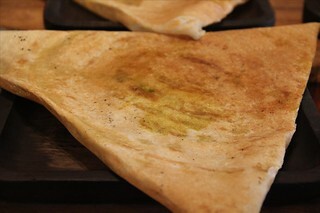 Gil-e-bahist is a sinful concoction of rabri, phirni and kalakand, curated by the chef. The desserts lacked in presentation, as compared to starters and main course, but that was fully compensated by the flavours.